This document provides guides for development of mobile Client Apps in Red Hat Mobile Application Platform Hosted 3. The existing RHMAP Hosted Build Service (‘Build Farm’) is deprecated. Building client binaries directly from RHMAP will no longer be supported by Red Hat on the 31st December 2018. If you are unfamiliar with building mobile apps, you might find the instructions in Building RHMAP Mobile Apps blog post are a useful starting point. There are many ways to install an .apk file onto an Android device or emulator. Some of these ways are detailed in the text below. If you do not have an Android device, use an Android emulator which is installed as part of Android SDK installation. 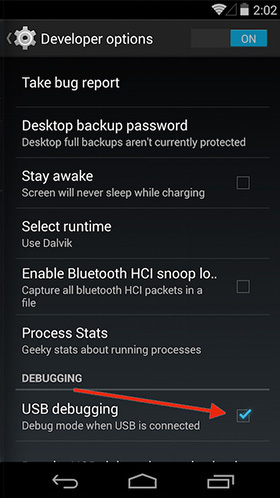 See Running Apps on the Android Emulator for more information. This is the download URL of the binary. By navigating to this URL on the device browser, the binary can be downloaded and installed. If you have a Dropbox account, there is a Dropbox app available in the Google Play Store. Placing the APK file in your Dropbox folder (on your PC/Mac) will make the file available through the Dropbox app, allowing you to open and install. If you have the android tools installed, you can follow the instructions for sending the APK file to the device over a USB cable. You must possess an iOS Development or Distribution Certificate, see here for more info. Log on to the iPhone Provisioning Portal and use the test device’s UDID to create a device. Register the app’s App ID and then create a Provisioning Profile, see here for more info. Use the Credential’s Bundle to build the application using the RHMAP Studio. A QR code will be created. Forms functionality can be integrated into existing apps. This guide demonstrates the integration on an example of a workforce management application — a supervisor assigns jobs, a worker receives the assignments on their mobile device, and sends back information about the job. The procedures in this guide use a Cordova app and a Cloud App. These apps can be imported into a project to demonstrate the working example described in this guide. A supervisor creates a job for a worker to remove a fallen tree after a storm. The supervisor asks the worker for details of the job such as photos of the tree, location, comments, and the time started and finished. This can be achieved using forms apps. Selecting the form for the worker to complete. Selecting and filling out a form with the details for the job. Giving the job a unique ID. Jobs are created by an admin by filling out a creation form. New jobs are available to both admin and non-admin users. App users can view the completed creation form. App users can complete a job by filling in a separate completion form. The completion form must be visible to any app user to review. The Client App user can mark the job as either "In Progress" or "Complete" by saving the completion form as a draft. Backbone: The Cordova app uses backbone models and views to manage the creation and update of jobs. Handlebars: Used for view templating. Managing the listing of jobs in various states. Managing the rendering of any forms. Managing the submission and upload of any form submissions. Managing the creation of jobs containing form and submission data. The job model is a simple Backbone model describing a job. The jobs collection is a collection of job models. A custom URL is included for synchronizing jobs between the client and cloud. This custom URL is used to access RESTful /jobs endpoints on the Cloud App. The Cloud App consists of RESTful endpoints (/jobs) for performing CRUD operations on job data using the $fh.db API. There is no visible logic in the Cloud App to deal with forms, because all cloud-based forms logic is contained in the cloud APIs. Create a new project in the App Studio. Import an app into your project. For example, the examples in this guide use the Cordova app and Cloud App. Create forms and themes for the project. Any created forms and themes associated with the project will now be visible in the Cordova app. Admin: Able to create and complete jobs. User: Able to complete jobs. A user has the userId and userName fields that are automatically added to a submission before rendering the related form. Add two text fields to any forms associated with this working example. When the fields have been added, add two users to the users collection in your Data Browser. Use the following to integrate forms functionality into an app. Add Forms Initialization by adding the $fh.forms.init function to the client. This initializes forms on the Client App to enable the usage of the $fh.forms Client API in the rest of the app. The $fh.forms.init function is part of the log in process for the app. As an admin user, select a completion form. This specifies the form that needs to be completed in order to complete the job. List all of the forms available to the app using the $fh.forms.getForms Client API function. The $fh.forms.getForms Client API call only downloads a list of forms, it does not download the entire form definition for each form. Download a form to the client using the $fh.forms.getForm Client API. As forms are used in job creation, viewing job details, and completing jobs, this function is abstracted to a set of helper functions here. The $fh.forms.getForm client API usage can be seen here as part of the loadForm function in FormFunctions.js. Load a submission into your app. This process is illustrated using the loadSubmission function in the FormFunctions.js file. Forms are related to submissions, in that any data entered into a form is populated to a submission. However, a submission is validated against a form before being upload to the cloud. From Local Memory: Save a submission as a draft to local memory then edit later using the saveDraft function on the submission model. The implementation of this functionality is shown in the loadLocalSubmission function. Download From Remote: Download a submission from the cloud. For example, when the supervisor completes a form to describe the details of the job, the ID of the submission is saved to the job model. When the app user downloads the job model, they have access to the remote submission ID of the form submitted by the admin user. This remote submission ID is used to download the full submission definition from the cloud. The implementation of this functionality is shown in the downloadSubmission function. The form definition for the submission is contained in the submission downloaded from the cloud. This is because the form definition may have been edited between submissions. Downloaded submissions should not be edited on the client. They are intended for read-only access. Any attempt to submit a downloaded submission to the cloud will return an error. Create A New Submission: If there is no submission associated with a form, a new submission can be created. In this case, the submission is created from a form model. This ensures that the submission is automatically related to the correct form. Render the form into the view for editing by a user. The FormViewSDK.js file contains the Backbone SDK version of the form view. The Cordova app contains an option in the "Settings" tab to switch between the Backbone SDK and manual form rendering. The Backbone SDK is intended to speed up forms apps integration for Backbone/Bootstrap based Cordova apps. However, the $fh.forms Client API will work with any Cordova app. The rendering of the form and managing the population of user data to a submission will be the responsibility of the developer. Rendering a form to the user is the simplest method of completing a submission. However, field input values can be added to a submission from any source. The submission is still required to be valid against any field or page rules. A basic Bootstrap form is rendered based on the form definition. This form is defined in the FormView.js file. All of the rendering, submission input, and validation logic of the form is defined in the app using the $fh.forms API and models. The manually rendered form is implemented for illustration purposes only. Only the text and number fields are manually implemented. However, all available form field types can be rendered using the $fh.forms.backbone SDK. The rendering logic for the custom form view is located in the FormView.js file. Here, you can see that the view handles all of the events related to rendering the form to the user. Validating field data when entered. Checking field and page rules. Populating data to a submission. Saving a submission as a draft. Submitting a form to the cloud. The following steps illustrate how the Cordova app addresses these requirements when manually integrating the $fh.forms SDK into a custom rendered form. Define the validation parameters that restrict the data that can be entered into the field (for example, a text field can specify a minimum/maximum number of characters that can be entered into the field). Adding this functionality to the Client App reflects the restrictions of the field. To satisfy this requirement, the validateInput function is registered to the blur event of an input in the FormView.js file. Validation parameters influence whether a submission is valid. Even if field validation is not performed on the Client App, all submission fields will be validated before saving to the database. Form apps include field and page rules. In the Studio, forms editors can create field rules to show and hide fields based on field input data and page rules to show and skip pages based on field input data. This functionality is reflected in the implementation of the $fh.forms API. By processing a submission using a rules engine, the submission can identify fields or pages that need to be shown or hidden. This is implemented in the checkRules function in the FormView.js file. Field and page rules influence whether a submission is valid. Even if field and page rules are not checked on the Client App, the submission will be checked against all rules before saving to the database. Add data to a submission model using the addInputValue function. The source of this data can either be the form rendered to the user, external data available to the app, or a mixture of both. From a rendered form: In this case, a form is rendered for the user to input data using the $fh.forms.backbone SDK or by manually rendering a form. When manually integrating the $fh.forms API into a custom rendered forms, it is necessary to handle the migration of data from the view to the submission model. This is illustrated by the saveFieldInputsToSubmission function in the FormView.js file. From an external source using field codes: You can add field codes to form fields to uniquely identify a field within a form. This field code can relate to an external data source (for example, a header in a CSV file). Using this functionality, it is possible to import external data into a form submission. This functionality is demonstrated in the example Cordova app by the addSubmissionData function. In this example, a user has userId and userName fields. If a form contains fields with fields codes userId and userName, these fields will be populated with the data from the User model. Field codes must be unique within a form. However, the same field code can be present in multiple forms. Save a submission as a draft. This functionality is illustrated by the saveDraft function in the FormView.js file. Having added validation and rules functionality to the form, we can now submit valid submissions to the cloud for viewing/editing on the submission editor. The form view listens for submission-related events (validationerror, queued, progress, error, submitted) emitted by the submission model as the data is being processed and uploaded. Submit: Calling the submit function on a submission model validates the submission against the local form definition and changes the submission status to pending. Upload: Calling the upload function on a submission model will queue the submission for upload to the forms database. This guide includes the steps necessary to create a new Ionic Hello World Project and highlights the code necessary to interact with a Cloud Code App. The Ionic Documentation contains all of the information needed to start developing Ionic Apps. The example project is a simple project containing one Client App and one Cloud App. The Cloud Code App exposes a hello endpoint to recieve a request from the Client App, change the text sent to add Hello and return the response to the client. Use the following steps to create a new Ionic Hello World Project. Select the Projects tab located at top-left of the screen. Select the + New Project button located at the top of the screen. You will then see a list of Project Templates. Select the Hello World Project Template and give the new project a name. Click the Create button. The new project will now be created. When the project has been created, select the Finish button. You now have a new Project containing an Ionic Client App and a Cloud Code App that it will communicate with. Select the Apps, Cloud Apps & Services tab. Select the Client App under the Apps section. This will take you to the Details Screen. The App Preview contains a working version of the Ionic Client App that will communicate with the Cloud Code App. Now that you have tested your app and are happy that it is working correctly, you can now build the Client App using the RHMAP Studio. From the Client App interface selected the Build tab. Select Android, the master branch, a Debug build type, the Dev Cloud Code App and then click the Build button. An Android build of the Client App will now be built. When the Android build has completed, you will be presented with a QR Code, simply open a QR Code Scanner app on your Android device and install the build. Alternatively, type the short URL into your phone’s browser. You can build Android debug binaries without any certificates but you will need the requisite credentials to build any type of iOS Phone binaries. The branch selector allows you to select which branch of the Client App you wish to build. In this case, the default master branch is the correct branch. Congratulations. You have just created an Ionic HTML5 Cordova App using RHMAP. This section will highlight the code necessary for the example solution to work correctly. msg: "Hello <<hello parameter sent by the client app>>"
In the application.js file, a new /hello route is added which requires a hello.js file located in the lib directory. The hello.js file creates two routes. Both routes perform the same operation of changing the hello parameter. A GET request where the hello parameter is appended as a query string. A POST request where the hello parameter is sent in the body of a POST request. This Cloud Code App is completely independent of the Ionic Client App. The Cloud Code App can be shared between any number of Client Apps within a project. Having created the /hello endpoint in the Cloud Code App, we now proceed to examine the functionality added to the Ionic Client App to allow it to send requests to the /hello endpoint exposed in the Cloud Code App. The Client App is a simple Ionic App with a single input that accepts some text and a single button that sends the input to the cloud and displays the result to the user. All HTML5 Client Apps must contain a fhconfig.json file to use the $fh Client API functions. This file is automatically populated with the required information when the app is created in the Studio. In this example, the $fh.cloud Client API function is used to send requests to the hello endpoint in the Cloud Code App. The $fh.cloud function is located in the fhcloud.js file. Here, the $fh.cloud function is exposed as a reusable service for the MainCtrl Controller to use. Accepting the input from the user from the example.html view. Using the fhcloud service to call the hello endpoint in the Cloud Code App. Processing the response from the Cloud Code App using the success or error functions, depending on whether the $fh.cloud call was successful. In this case, the Client App is using a GET request type. As the Cloud Code App exposes both a GET and POST version of the hello endpoint, a POST request type will also work. This is especially useful when dealing with RESTful applications. The official registry and distribution channel for Cordova plug-ins is npm and the plug-in ID corresponds to the npm package ID. The Cordova Plugins page contains the official plug-in list and acts as a filter for npm packages with the keyword ecosystem:cordova. You can use Cordova plug-ins with all platforms supported by RHMAP. However, not all Cordova plug-ins support all platforms. Platforms supported by a plug-in are specified in a plug-in’s package.json file in the cordova.platforms object, or on the Cordova Plug-ins search page. When developing Cordova applications, plug-ins are added using cordova plugin add, which downloads the plug-in from the repository, creates the necessary folder structure, and adds an entry in the config.xml file. See Platforms and Plugins Version Management in the official Cordova documentation for more information. In RHMAP, however, plug-ins can also be declared in an RHMAP-specific JSON file config.json and makes the apps future-proof in case the plug-in specification format changes. The necessary changes can be implemented once in the RHMAP Build Farm instead of forcing all developers to update their apps. Three plug-ins are specified in the above example: the Device plug-in and Geolocation plug-in, which are available through npm, and the Local WebServer plug-in which is available only from the indicated Github repository. The config.json file must be located in the www folder of a Cordova app. This is the globally unique ID of the Cordova plug-in, which corresponds to its npm package ID. It can also be found in the plug-in’s plugin.xml file, as described in the Cordova Plugin Specification. The version of the plug-in to use. Corresponds to the npm package version. For plug-ins distributed through Git only, you can find the version of a plug-in in its plugin.xml. For plug-ins distributed through npm, you can also use the latest value to always use the latest available version. We strongly advise you to use a specific version that is proved to work with your app, since a plug-in upgrade could break backward compatibility. The URL of a public Git repository, containing a valid Cordova plugin (contains a plugin.xml file). The provided value for this field is used to download the plug-in, regardless of the values of the id and version fields. If this field is not provided, the plug-in will be downloaded from npm with the values of id and version fields. You can also specify a particular Git ref and a path to the plug-in within the repository, as described in official Cordova CLI documentation. A Git ref object can be specified by appending #<git-ref> in the URL. We strongly recommend using a tag or other stable ref that is tested as working with your app. Using master as the ref could result in the plug-in code changing on every build and potentially breaking your application. Path to the directory containing the plug-in can be specified with :<path> in the URL. After the plug-in is downloaded, its plugin.xml file will be parsed to make sure the plug-in ID matches the id field specified in the config.json. To provide plug-in configuration, use key-value pairs in the preferences object, like CordovaLocalWebServerStartOnSimulator in the example above. Some plug-ins use variables in plugin.xml to parameterize string values. You can provide values for variables as key-value pairs in this field. See official documentation for more information on variables. $fh.sec APIs provides the functionality to generate keys and data encryption/decryption. However, after the keys are generated, you may need to save them somewhere for future usage. For example, you have some data that needs to be encrypted with a secret key and saved on the device. Next time, when the app starts again, you need to get the same secret key and decrypt the data. The best practice to achieve this is to save the keys on the cloud side, and associate the keys with the client using the client unique id (CUID) and app id. A reference application has been created which fully demonstrates how to use $fh.sec APIs. The code for this application is available on GitHub: https://github.com/feedhenry-training/fh-security-demo-app. This page gives an explanation of the debugging tools that can be used while developing cross platform apps. These tools can be used in the Studio or on device. For more information about how to prepare an app for debugging and how to debug on iOS and Android, see this blog. To debug this console output, you will need to open the relevant web debugging tools in your browser. For debugging cloud code, simply use console.log() and console.error(). The corresponding log files can be viewed in the Studio under the 'Logs' section, or using FHC. Using these features, debugging an app is made very easy. Getting an app working without Firebug showing any errors or problems gives the app a good chance of working cross platform. Web Inspector is very similar to Firebug. It offers more or less the same features as Firebug, but has the advantage of being included with WebKit browsers out of the box. This means the Web Inspector can be used with Google Chrome and Safari. The tool is enabled by default with Chrome and can be started by context clicking any object on a web page, and selecting Inspect Element. Remote debugging on iOS with Safari can only be enabled for applications built with a Development provisioning profile. Ad Hoc and Distribution apps cannot be debugged this way. 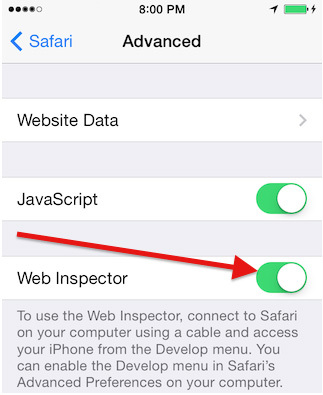 Navigate to Safari → Advanced, and then toggle on the Web Inspector switch. 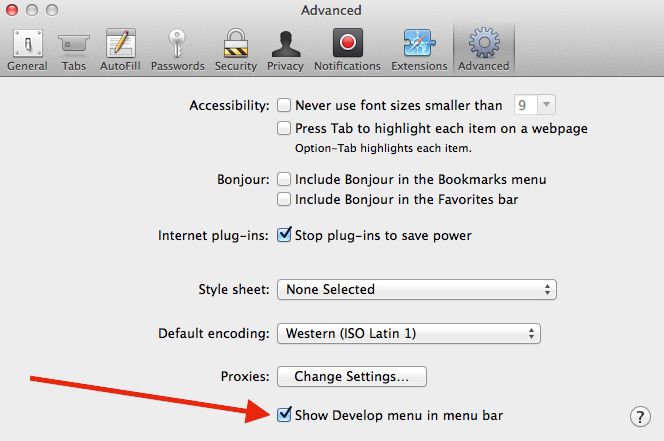 In desktop Safari, go to Safari → Preferences, select Advanced, then check the Show Develop menu in menu bar check box. Connect your iOS device to your development machine via USB. Open the app you want to debug, it will be available in Safari’s Develop menu. The Develop menu has additional tools such as the User Agent switcher. This allows the browser to pretend to be a different browser for example, Mobile Safari. This feature can be useful if developing a mobile Internet version of an app. Remote debugging on Android with Chrome can only be enabled for applications that flagged debuggable. If you are using Cordova 3.3 or newer, add android:debuggable="true" inside the <application> element in the AndroidManifest.xml file. If you are using Cordova 3.2 or older version, you have to enable WebView debugging. 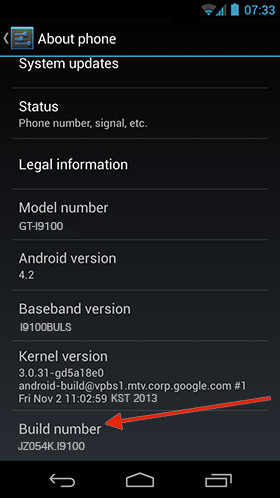 Enable USB debugging on your Android device On Android 4.2 and newer versions, the developer option is hidden. To make it available, navigate to Settings → About phone, and tap the Build number seven times. Go back to the previous screen to find Developer options, then check the USB debugging check box. Choosing the Stay awake option is also recommended. Check Discover USB devices, if it is not selected. If it is the first time you attached this device for developing, you may see an alert on device requesting permission for USB debugging from your development machine. To avoid appearing this alert every time you debug, check Always allow from this computer, then tap OK.
To debug your app, you need to run it on device. In Chrome, click the Inspect link to open the DevTools. Weinre is probably the best on-device debugging tool available at the moment. It officially only supports webkit browsers. This means it will work for Android and iOS. The full list and version numbers are available on its site. Weinre works by setting up a remote debugging session from the app on the device to the Weinre server. Weinre runs a web server which can be used to access the Web Inspector, and remotely debug the app. At the time of writing, the features of this Web Inspector session allow debugging the DOM and updating it. The remote console is also shown, and the developer can dynamically run code in the app from the console. To enable Weinre debugging in an application, there are a few steps. Run the jar on a machine on the same network as the device, that is, device connected via WiFi to the same router/access point as the developers machine. Note that when running the jar from the command line, it is advised to use the value -all- for the boundHost so that it is listening on all interfaces. Add a script to the HTML of the app before building and deploying it to the device. According to the documentation, the script include will look something like this. The address used, some.server.xyz, must match the address (ip address should work too) of the machine that is running the Weinre server. Deploy the app to the device and launch it. Opening the web page of the Weinre server (on the developer machine) should present a link to the debug user interface. This link opens up the Web Inspector and allows remote debugging of the app. As these instructions are for a third party tool, it is best to check with the official site for any updates around this setup process. You can use connection tags in RHMAP Studio to associate a Client App with a Cloud App. This enables you to change which Cloud App is associated with your Client App without the need to distribute an updated Client App binary. Cloud connections are updated by Client Apps upon restart. Make sure that you have at least two deployed Cloud Apps associated with your project. Log in to RHMAP Studio. Navigate to the Connections section, and find the app whose connection you want to re-configure. Click Configure next to the connection. From the drop-down list, pick the Cloud App you want to be associated with your Client App. Click Save and Update Connection to exit the configuration window. A message is displayed stating that the re-configuration was successful. Client Apps on Android might cache the location of the Cloud App, which may prevent them from immediately recognizing changes after the Cloud App connection is reconfigured. To ensure that the Cloud App location in your Client App is updated, restart the Client App on your device after completing the steps above. Select the type of application it is "Applications" / "Games"
Price is automatically set to Free. If you want to charge for apps you must set up a merchant account at Google Checkout. You must verify that the application meets the Android Content Guidelines and that your app may be subjected to US laws regardless of your location or nationality and that, as such, your application is authorised for export from the US under these laws. Click the (blue) Continue button at the end of the screen. Upload the icons and screen shots mentioned in the Prerequisites (Large Icon and Primary Screen Shot are mandatory). TIP: When adding additional screen shots, you may like to select them in reverse order so that they appear in the correct order when added by the uploader (which seems to add/upload them in the opposite order that you selected them). Click the (black) Submit Application button. Click Choose File and locate your binary zip file mentioned in the Prerequisites. A Credentials Bundle consists of a number of resources needed to perform a particular build. Here, the different resources are listed, along with a brief explanation of their purpose. When performing build operations, a Credentials bundle can sometimes be required (depending on the build). A Credential bundle is a combination of resources, such as certificates, provisioning profiles, and private keys, necessary for performing specific types of builds, be it a development build, distribution build, debug build etc. Depending on both the platform, and the build type, different resources will be grouped together to constitute a bundle. Listed below is a breakdown of resources that can be added to a Credentials Bundle, along with a brief description of what they are used for. This is a file whose contents are known only to the owner. During the app building process, the app is digitally signed using this key. This means the developers digital signature is left on the App, allowing the App to be tied back to the developer. Android Distribution Certificate - Used to build Apps for upload to the Google Play Store. This certificate is used to identify you as the developer upon upload to the market. Used to run an iOS App on devices during development. Used for submitting your iOS App to the App Store, and for distributing the App for On-Device testing. This is also used to identify you as the developer. Necessary in order to install development applications on iOS devices. In order to publish an app in the Apple App Store you must have an active apple account (developer or enterprise). This account will need to be renewed annually in order for associated apps to continue to be available in the App Store. A developer account is used create an iOS distribution certificates used to publish apps to the apple App Store. When a distribution certificate expires, if the iOS Developer account is still active, existing apps on the App Store will not be affected, they will continue be available within the App Store and apps already on device will continue to function as expected. An enterprise account is used to create (in-house) distribution certificates which are needed to publish apps to the RHMAP app store or customer in-house MDM. When an existing in-house certificate expires all apps built with that certificate will not run and further installs of this version of the app will not be possible. The app will need to be rebuilt, signed with a new certificate, republished to the relevant store and then re-downloaded by all users. Apple enterprise and developer certificates must be recreated every three years. The customer email address associated with the developer account will receive advance notification of the impending renewal requirement. While Red Hat might have been involved in assisting a customer with the initial setup of an Apple developer or enterprise account the ownership and responsibility for the apple account and the certificates created remains with the customer. Upon receiving the certificate expiry notification it is recommended that the customer proactively renew the certificate in order to avoid interruption to their apps availability.